“Behold, the days come, saith the LORD, that I will make a new covenant with the house of Israel, and with the house of Judah” (Jeremiah 31:31 KJV). 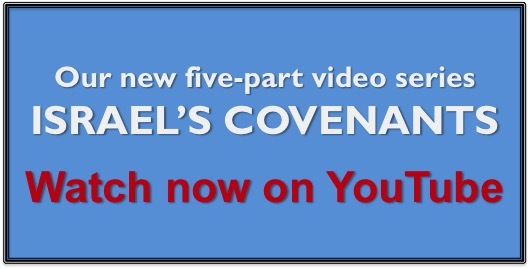 Look, the New Covenant—a better covenant! Since King Solomon pursued heathen women and corrupted himself and the nation Israel with pagan idolatry, God initiated the second course of chastisement after his death (1 Kings 11:1-13,26-42; 1 Kings 12:1-19). Israel’s government, her “power,” was weakened (Leviticus 26:18,19). The kingdom was split between its 10 northern tribes (taking the name “Israel”) and two southern tribes (assuming the designation “Judah”). That divided kingdom existed during the time of the Prophet Jeremiah, some 300 years later. Jeremiah preached just before and during the fifth course of chastisement—the Babylonian captivity (Leviticus 26:27-39). However, his message also focused on Israel’s hope, her eventual return to the Promised Land after being exiled in foreign (Gentile) territories. This re-gathering and restoration of Israel is found in the chapter containing today’s Scripture. “ Behold, the days come, saith the LORD, that I will make a new covenant with the house of Israel, and with the house of Judah:  Not according to the covenant that I made with their fathers in the day that I took them by the hand to bring them out of the land of Egypt; which my covenant they brake, although I was an husband unto them, saith the LORD:….” The Law of Moses, the contract into which Israel entered on Mount Sinai 900 years prior to Jeremiah, demanded Israel’s exclusive worship of JEHOVAH God. “Thou shalt have no other gods before me” (Exodus 20:3). Time and time and time again, they broke that covenant, disobeyed God’s Word, and came under His curse. As a wife being unfaithful to her husband, Israel ran after idols and cheated on JEHOVAH God, bringing upon herself unspeakable judgment….